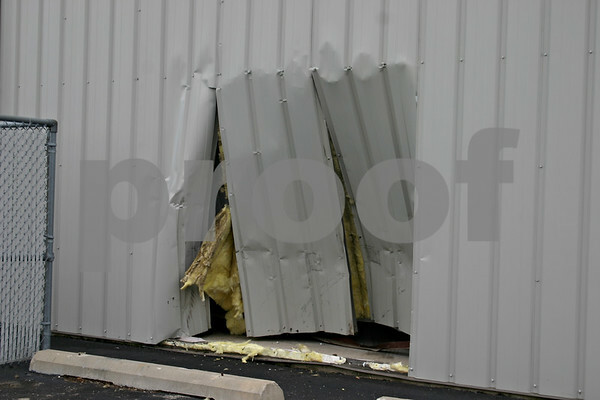 A hole can be seen in an unoccupied building in the 600 block of Enterprise Avenue in DeKalb after a woman drove her Chevrolet Suburban through it Friday morning. The woman hit the gas pedal instead of the brake, said DeKalb Police Cpl. Scott Farrell, and will be charged with no valid driver's license, no insurance and failure to report an accident.